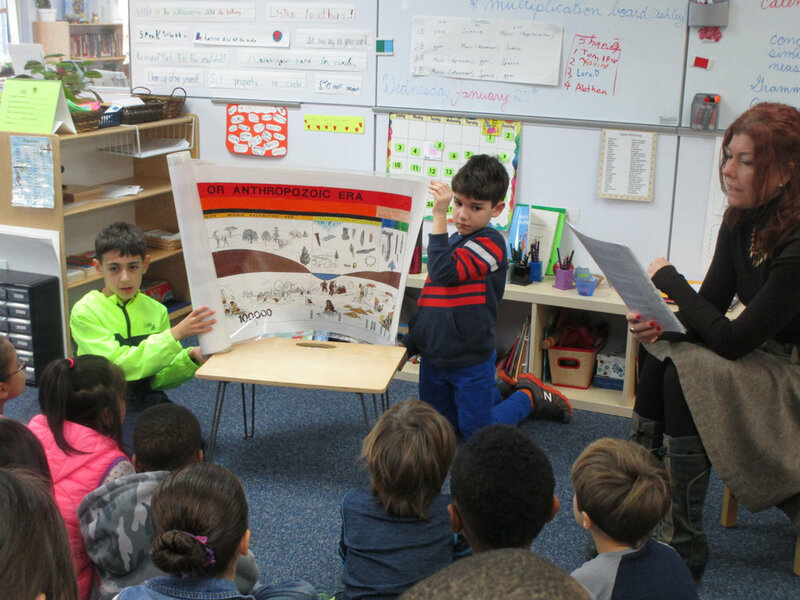 The Lower Elementary North class listened to Montessori’s Third Great Lesson: The Coming of Humans. They had many questions and enjoyed working on drawings and writing after the presentation. The great stories are shared every year in the Lower Elementary classrooms.